In our hearing exam, you will be tested by a Hearing Aid Specialist permanently licensed in the State of Virginia. For purposes of fitting instruments we will do speech recognition testing as well as pure tone testing, middle ear analysis and bone conduction, if necessary. If it is your first set of hearing aids or we find “conductive” involvement we would encourage you to see a Doctor specializing in diseases of the ear (Ear Nose Throat) prior to purchasing hearing instruments. We are happy to work closely with your Doctor for any medical reason that may influence our setting of hearing instruments for you. In the last couple years some Insurance Companies have started to offer coverage for hearing aids. 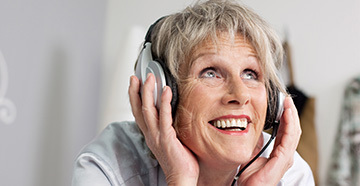 Medicare does not cover hearing aids at this time but some secondary insurance companys do. It varies wildly so please carefully check your insurance coverage if you are counting on insurance coverage. We are willing to help you file your insurance paperwork for your convenience. Our normal follow-up care depends on previous experience and being sure how well you can handle your instruments. If you have never worn instruments before then we are going to give you more information that most can absorb on a introduction to hearing aids. We will give you the basics and make and appointment 10-14 days after the initial delivery. The focus here is to get you used to using the instruments (putting them on or taking them off, wax treatment and cleaning, how to store them at night, etc.) The initial delivery will be noted on your paperwork and that would begin your 60 day trial period. Many times we will not let the instruments go out with a full hearing loss correction because we are really training your brain to hear at a new “normal” level. We expect your new hearing aids and your brain to need some time to get to know each other better. We call this “acclimatization”. If you are wearing your hearing aids in quiet rooms, you will hear better in noisy rooms because your brain will “acclimate” to a new level because you are using hearing aids full time (all your waking hours). After your second visit the adjustment period will make more sense and be easier as you get more and more proficient using the instruments. Your next visit, two weeks later, is many times where we recognize how well you are doing with the instruments and how well you handle them. We look for areas that need some attention and work on those with you. We will adjust the instruments to your hearing loss, acclimatization level and our own experience referencing those with a similar hearing loss and your personal needs. After you are comfortable turning the aids on and off, inserting them in your ears properly, understanding how to deal with wax and battery issues and whether any fine tuning adjustments are necessary, will we not want to see you every couple weeks. Some get used to things very quickly and most of us take longer. Taking responsibility for you doing well with your instruments is a job we take quite seriously. We don't charge for office visits so we encourage you to come in if you have any concerns regarding you and your instruments. A dry toothbrush seems to be the best maintenance tool we know of. A 5 second brushing over the tip of the mold once or twice per week is usually all the maintenance the hearing aids need. 95% of everything we see in the first 3 years has to do with wax or battery problems. First we need a hearing test and to take all the sting we can out of that, we test your hearing for FREE. We then can ask questions about what type environments are most important for you to hear better as we observe your hand dexterity and ear canal size and find out your personal tastes. After the test, we will be trying to narrow down to two or three choices, the over 600 different hearing aids we can deliver. We look at the strong points of the manufacturers to see if their algorithms match up with your needs. We will pick a size and configuration that we think would work best for you. There are enough manufacturers, enough hearing aids with each, enough research and development influencing the hearing health care field that we will pick the best technology available at the best price. We try to match the technology to the needs of the individual. 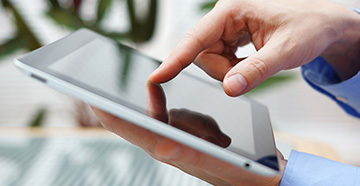 Pricing is according to technology and really has to do with your lifestyle. Being able to understand in a noisy restaurant requires more technology than someone would need if they are spending most of their time at home and want to hear their spouse and the TV better. We try to match up technology to need and everybody is different. You will have a 60 day trial period to decide whether we have made the best choice for you. Batteries are color coded by size and this sizing makes it easier for you to get your batteries if you are going to a drug store or coming to us (we mail also). Of course, we will know your battery and can easily handle that decision for you if you wish but going to a rack full of batteries in a drug store can be more difficult. Batteries are color coded: 675 (blue), 13 (orange), 312 (brown) and 10a (yellow). It is easier to remember “I get the brown ones” instead of remembering “I get size 312”. We have found Duracell and Ray-O-Vac to provide longest battery life with no “recovery” time when high demand is called for in noisy environments. Batteries are inexpensive at 50 cents each and can last 2-3 weeks down to 4 days for the smallest size (10a). There are rechargeable systems available. All hearing aid systems use a battery somehow. Even some that claim not to use a battery require you to purchase a contract of time. Every 3 months one deep insertion hearing aid is removed and replaced by another. Many hearing aids today use about $1 per month to run 15 hours per day and 7 days a week. Dexterity can be another issue to consider. Just ask us about the good and bad points of battery life and stability. We can address all your hearing concerns on a case by case basis. There are three types of hearing loss. A “conductive” hearing loss causes a loss of energy between the outer ear and the “footplate of the stapes” and “oval window” of the inner ear. We take the ear in sections. The “outer” ear is comprised of the “pinna”, the part you can grab on the side of your head, and the ear canal down to the eardrum. The “middle ear” is an air filled chamber on the other side of the ear drum. The middle ear contains three ossicles (malleus or hammer, incus or anvil, and stapes or stirrup). Many have heard of the “hammer, anvil and stirrup” from our days in school. These three bones are the only ones in our body that do not grow. There is by design (“we are fearfully and wonderfully made”), no loss of transmission across these three bones. If there is a loss of transmission then there is a “conductive” loss. A conductive loss can be temporary (ear infections or allergy) or permanent without intervention as in atresia or structural issues. The three ossicles couple vibrations of the eardrum into waves in the fluid and membranes of the “inner” ear. The “eustachian tube” joins the air filled space of the middle ear with the nasal cavity allowing pressure to equalize between the middle ear and throat. Damage in the “inner” ear is really what hearing aids are for. There is usually no treatment to make the inner ear “better” and hearing aids are the only solution. When someone is severely or profoundly hearing impaired there is a procedure called a “cochlear implant” that can have amazing results for those who are so severely impaired that they cannot get help from hearing aids. Johns Hopkins and The University of Virginia in Charlottesville are some of the best hospital's for cochlear implant surgery in the Country. Today the cost of hearing aids is usually associated with the technology that is appropriate for the individual. If someone tells us that the situations that bother them the most are high noise environments with multiple people talking at the same time, then we look at higher end technology. Some of the finest instruments today have 14 million transistors in the chips and act much like a computer. The high end instruments work as a team and then they count as one hearing system with two instruments working together. In a car as a passenger, the hearing aids can hear road noise on the right and speech on the left. They would automatically mute the right and “stream” the sounds from the left ear over to the right. There are a lot of things going on in the instruments but it is automatic for the person wearing the hearing aids. The person would understand better if the speech signals coming from the left are heard in both the right and left aids. The hearing aids can automatically reduce non speech noise and go wide band or narrow band based on the loudness of the environment. Let me explain...If we are in a noisy restaurant but the noise level is not terrible, then the instruments will be in a wide beam focused on those to the sides and in front but reducing sound coming from behind. If the noise level builds, then the instruments would go into a zoom or narrow focus and you would hear who you look at. The instruments could actually change themselves according to your hearing loss. In a quiet environment the instruments would hear in 360 degrees and be looking for any sound in the speech range. This quiet range is also couples with a speech in noise, a speech in high noise, and comfort in loud noise and a music/TV program. There are a lot of calculations going on to help you cut through high noise environments as much as possible. Many people do not need that much processing and there is a middle range technology that is available. It can automatically switch between a quiet and “directional” noise environment. It even has some streaming features, like the high tech aids, that can allow a person to answer the telephone and have the telephone signal “streamed” to the second ear automatically. You can have two ear listening on the telephone that engages and disengages by bringing the telephone up to your ear and handing it up after the conversation is over. The aid would “sense” the phone, switch to a phone position and stream the signal over to the other ear. The person with the hearing aids just answers the phone and enjoys the conversation and hangs the phone back up. The hearing aids are doing a lot but the person involved is just answering the phone and hanging it back up again like they always do. The hearing aid fitting requires active participation and commitment on the part of the Specialist and on the part of the Consumer. The Brain is the hearing center the hearing is an incredibly complex system shouting we are fearfully and wonderfully made. By introducing a hearing aid, we are training the brain to hear differently, you might say, finding a new “normal”. It's analogous to being in a dark environment for some time and then someone walks in and turns on the lights. It takes some time for our eyes to adjust and it might be a little uncomfortable at first. Sounds will seem exagerated at first but it is more about the frequency's being amplified that you have not heard correctly. The more power required, the longer the adjustment period. We usually schedule the first follow-up visit about 10 days to two weeks after the initial fitting. The instruments should be worn a least 10 hours per day during this adjustment period. Many times during this initial period we will adjust the hearing aid about 15-25% lower than we would like for long term use. It might seem exagerated but it is really the extra sensitivity the brain has for the initial fit. After two or three weeks that brain will establish a new normal and things won't sound exaggerated anymore. It is important that we communicate during this time so that you can get used to the new normal as well as become proficient in turning the aid on/off, putting it in and taking it out, changing batteries, handling wax issues and all the other things that seem complicated when you first begin. However long it takes for you to be comfortable with your aids is how long we stay with you in the beginning. After the initial learning curve, use of the instrument turns easy. 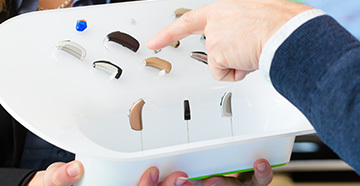 Our services range from sophisticated testing to personalized fitting of hearing aids made by 20 of the leading manufacturers, including Siemens, Oticon, Widex, and Phonak. We have an in-house earmold and repair lab that can handle about 70% of repairs in the office. This cuts down considerably on the turn-around time. Sometimes we can repair it while you wait. We also sell a wide selection of Assisitive Listening Devices, including telephone amplifiers, smoke detectors, wake-up alarms, and television enhancement devices. Truly dedicated to customer satisfaction, Hull Hearing Aid Service is confident we can provide you with hearing instruments best suited for your personal hearing loss. To back this up we offer a 60 day FREE trial period on all our products. Plus, we offer free testing!